Facebook has announced that it will soon be discontinuing support for photo syncing in its mobile apps, and is instead asking users to download its photo-specific Moments app. Facebook launched the auto-sync feature in 2012, letting users automatically upload photos from their phone to a separate Facebook album where it was possible to edit, delete or share the images on the social network. But on January 10, Facebook is getting rid of the feature. Anyone who wants to continue syncing photos will have to download Moments, which will result in existing synced photos appearing in the app automatically. Facebook is already warning users of the change via pop-up notifications and splash pages. Anyone who would rather not use Moments will be able to download their synced photos from Facebook in a zip file and delete them from the network. Since Facebook started alerting users of the move, Moments has jumped up the iTunes and Google Play app store rankings. When the company removed Messenger functionality from the main app last April - forcing people who wanted to chat through Facebook to download the standalone app - Messenger's app store rankings received a similar boost. 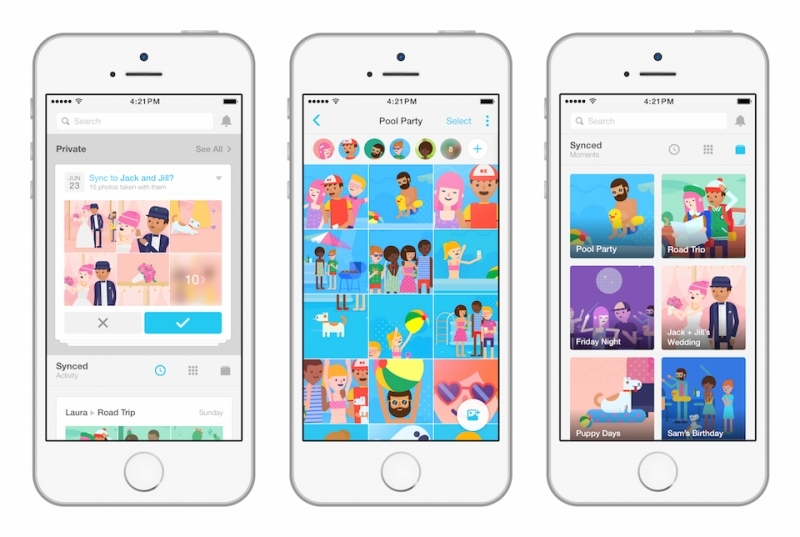 Facebook launched the Moments app in June. It uses the social network’s facial-recognition technology (the same one that suggests tags) to automatically create photo albums of users and their friends. As pointed out by TechCrunch, Europe’s privacy protection regulations mean that Moments isn’t available in the region, so it’s unclear how the move will affect users in this area. It‘s possible that Facebook may release a similar app without facial recognition in Europe, but for the time being the plan is to remove photo syncing only in countries where Moments is available.